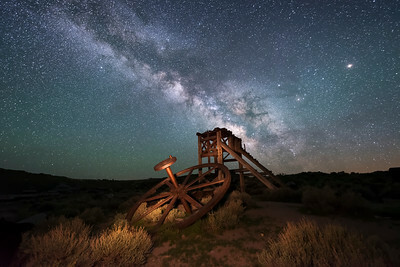 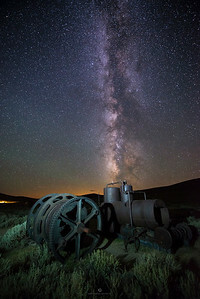 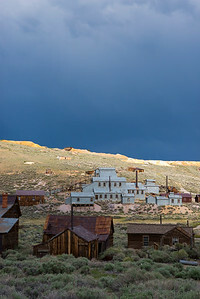 The Milky Way rising above Bodie's stamp mill. 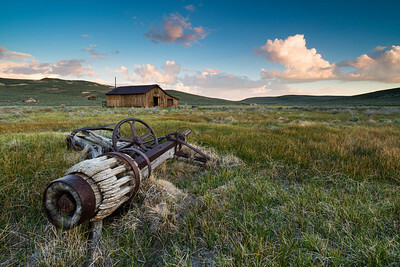 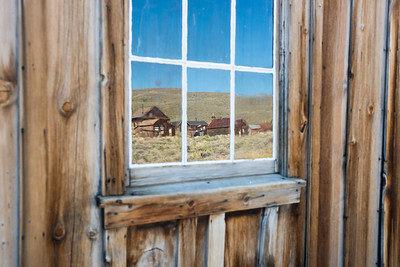 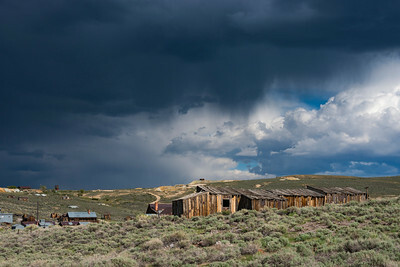 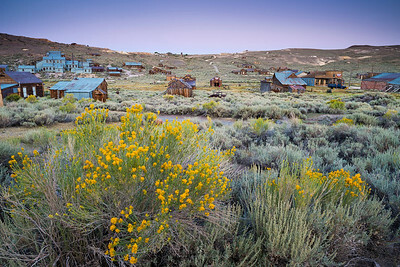 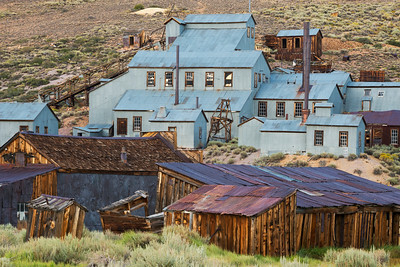 When gold fever extended to California's Eastern Sierra this mill processed tons of ore dug out of the nearby hillside. 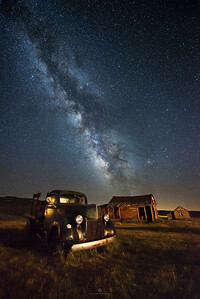 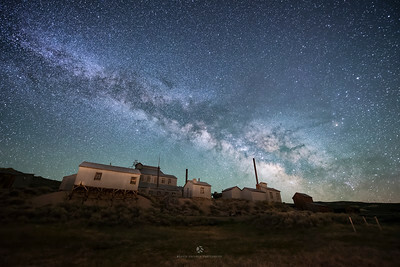 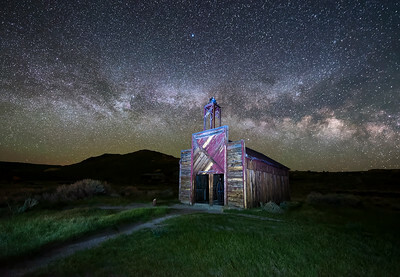 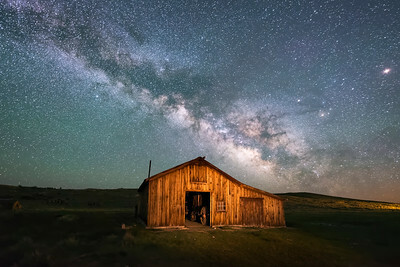 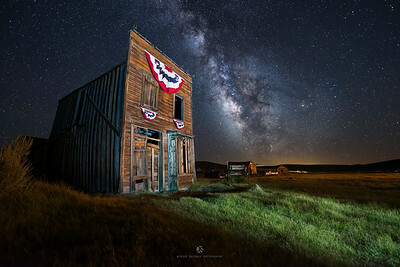 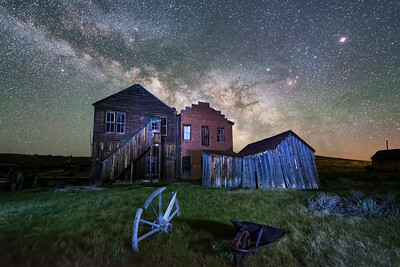 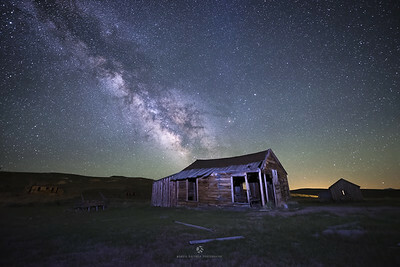 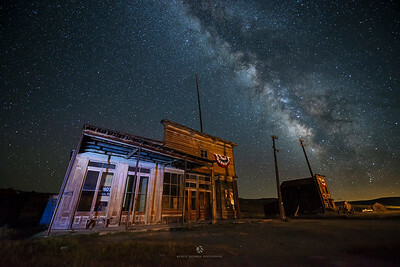 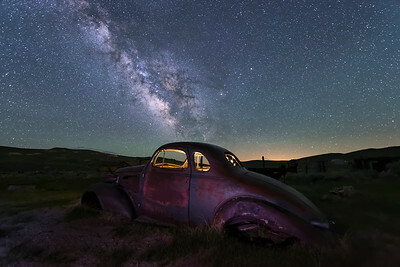 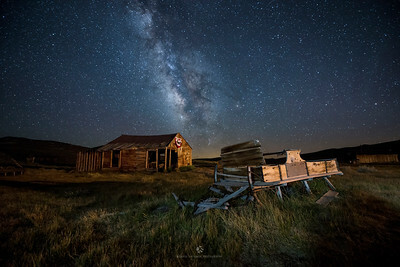 California's historic Bodie ghost town beneath the Milky Way. 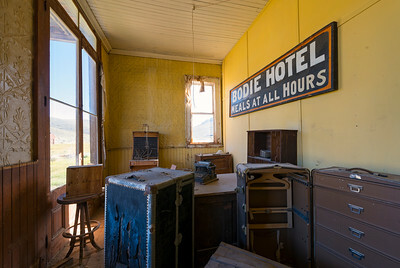 Wheaton and Hollis Hotel.